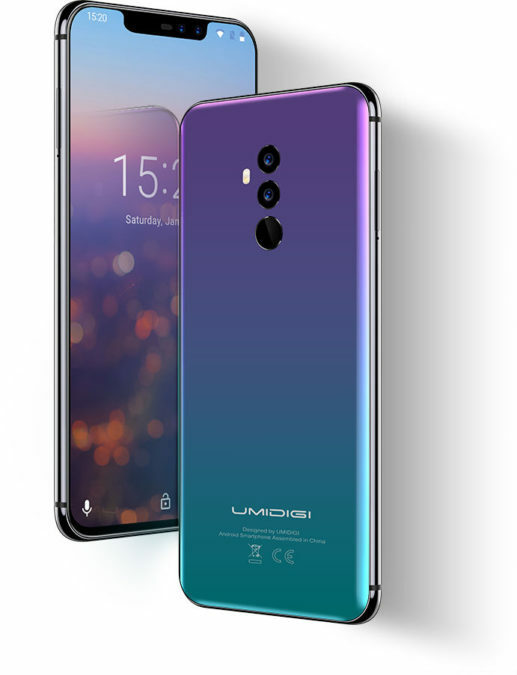 Chinese company UMIDIGI officially launched its new flagship smartphone UMIDIGI Z2 and Z2 Pro, equipped with display cutout, like the iPhone X and the rear panel with iridescent colors. UMIDIGI Z2 Pro is equipped with a 5.8-inch Full HD+ display with an aspect ratio of 19:9, OCTA core 2 GHz processor Helio P60 that supports artificial intelligence, support for dual fast charging, where in addition to the standard fast wired charging power 18 watts supported the world's first wireless fast charging capacity of 15 watts. The RAM is 6 GB and the internal storage capacity of 128 GB. Only available 4 camera configuration with 16MP+8MP on both sides. All new 36 supported frequency ranges, and 7 of the online modes. Out of the box offers a stock version of the Android operating system 8.1 Oreo. Full specifications line UMIDIGI Z2 will be presented on may 9.